As white kitchens have continued to grow in popularity, especially in the New England region, Merillat has responded by creating their new Cotton paint finishes. Inspired by the timeless appeal of white kitchens, Merillat has introduced the new Cotton, Cotton with Tuscan Glaze, and Cotton with Tuscan Accent finishes. They are on-trend, bright white paints that can serve as a perfect backdrop to colorful accents and a complement to a wide range of appliance finishes, floor treatments and countertop materials. Merillat’s new Cotton finish is available on select Maple door styles in the Merillat Classic line. 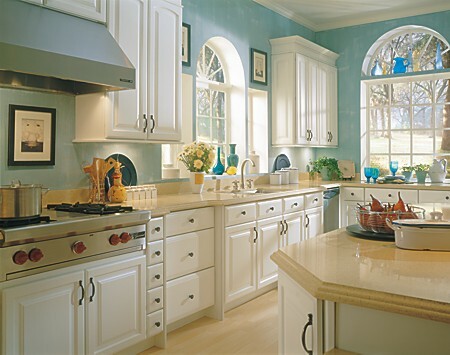 In addition to the new finish, Merillat has expanded their Classic additional styles and finishes. Their new Bellingham door style offers updated cottage charm, while the LaBelle door style brings traditional sophistication to the home. Merillat has also added a 3-piece drawer option to their popular Tolani door style to add extra storage. These new door styles and finishes give you more design options than ever before. 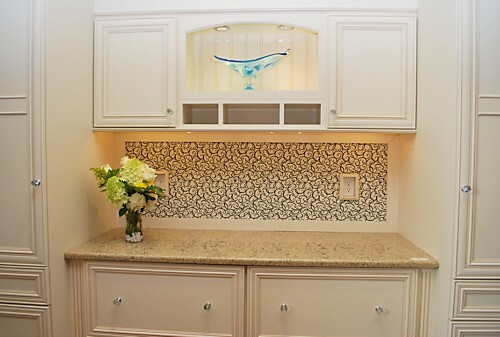 Merillat kitchen and bath cabinets are available from all Kitchen Views at National Lumber showrooms through New England.